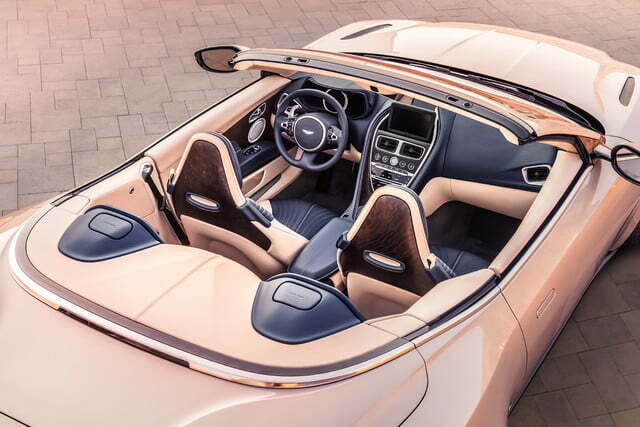 Automakers seem to have a habit of unveiling convertibles just as summer is winding down. Maybe it’s to build anticipation for next year’s allotment of warm weather and top-down driving. 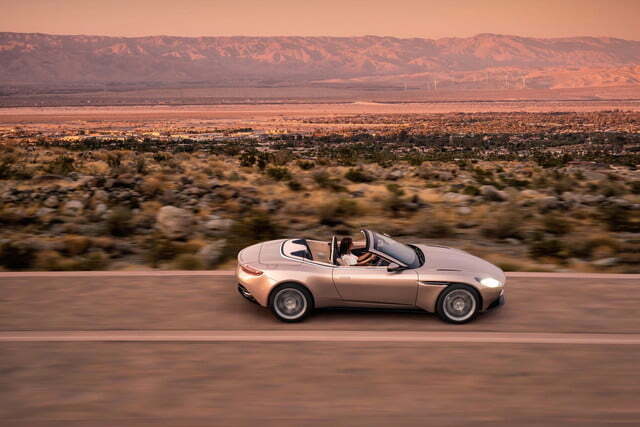 Two weeks into October, the Aston Martin DB11 Volante dropped its top in public for the first time. 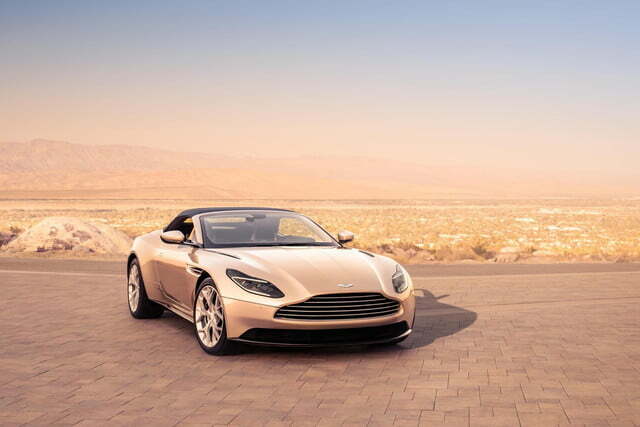 A convertible version of the well-received DB11 coupe, the DB11 Volante replaces the aged DB9 Volante convertible in Aston’s lineup. 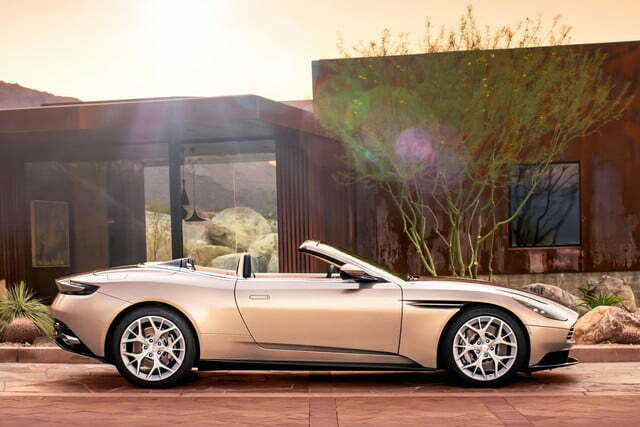 Aston is taking orders for the new convertible now, although deliveries won’t begin until the spring. 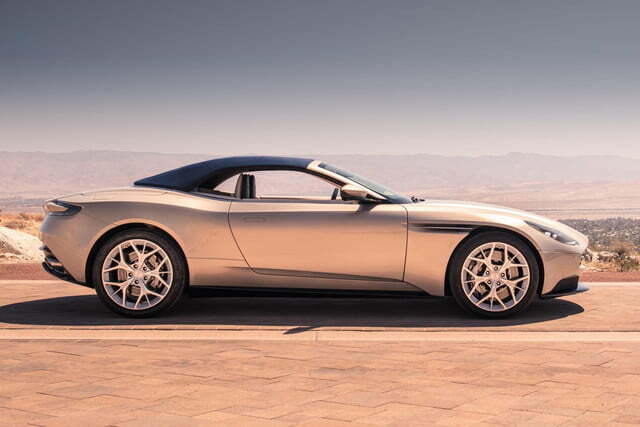 None of the DB11’s style was lost in the transition from coupe to convertible. The DB11’s curvaceous lines hold up well without a roof. 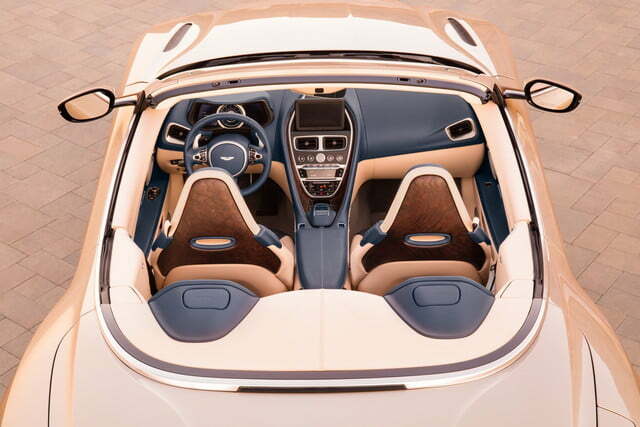 The seat backs can be dressed up with wood or carbon fiber veneers. And while many convertibles look great with the top down, the Volante pulls off the rare trick of looking decent with the roof in place. 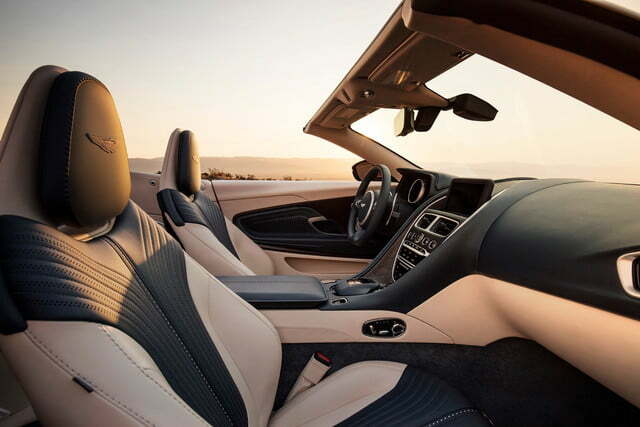 The soft top is made of eight layers of fabric for better sound and weather insulation. It takes 14 seconds to lower and 16 seconds to raise, an operation that can be performed at speeds up to 31 mph, with a 31 mph headwind, according to Aston. 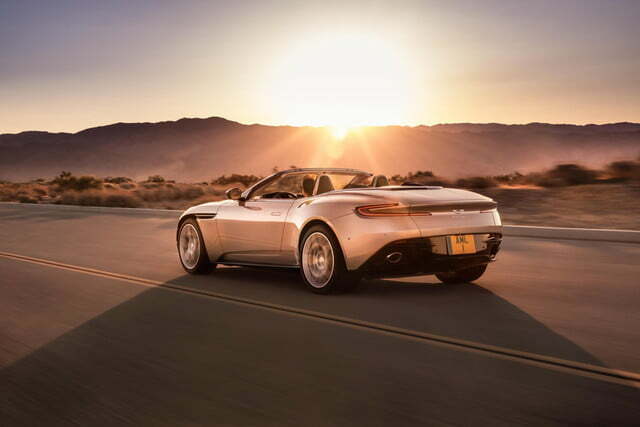 The top mechanism also frees up 20 percent more trunk space than the old DB9 Volante, the automaker says. 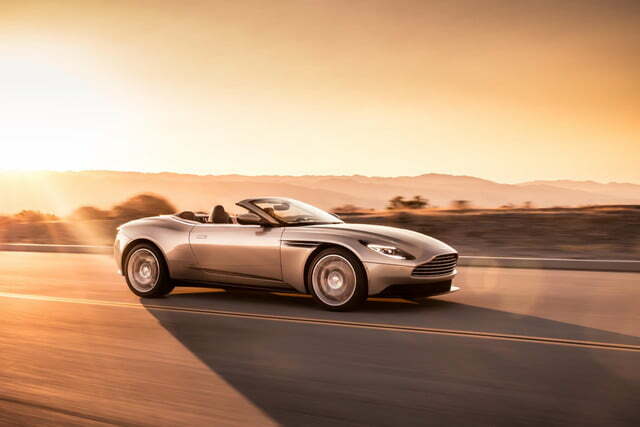 The new DB11 chassis offers other advantages over the DB9. The DB11 Volante weighs 57 pounds less than its predecessor (every little bit helps), but is also 5 percent stiffer. However, at 4,134 pounds, the DB11 Volante is still a pretty heavy car. It weighs significantly more than a V8-powered DB11 coupe, and about the same as a V12 DB11 coupe. But while it carries as much weight as the V12-powered DB11 coupe, for now at least, the Volante doesn’t get that larger engine. It’s only offered with the smaller 4.0-liter twin-turbocharged V8, which comes from Mercedes-AMG. The V8 produces 503 horsepower and 513 pound-feet of torque, which is sent to the rear wheels through an eight-speed automatic transmission (no manuals here). Despite the extra weight, the DB11 Volante will do 0 to 62 mph in 4.1 seconds, just 0.1 second slower than the V8 DB11 coupe. Top speed is 187 mph. 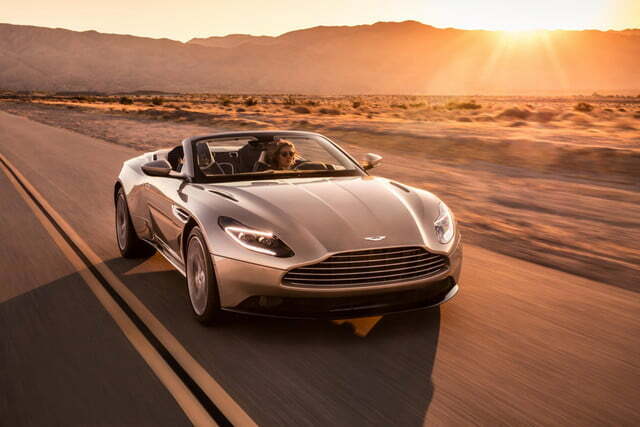 The Aston Martin DB11 Volante starts at $216,495. As mentioned above, Aston is taking orders now, with deliveries set to begin in the spring.